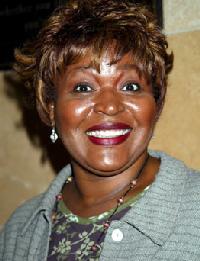 *EUR has learned that actress/singer Alaina Reed Hall-Amini has died. She was 63. At press time, details of her death, on Thursday, Nov. 17, are still sketchy, but the Afrobella blog quotes the cause is believed to related to breast cancer. Hall-Amini was best known for her roles as Olivia, Gordon’s kid sister, on the long-running children’s television series Sesame Street, and Rose Lee Holloway on the NBC sitcom 227. Born in Springfield, Ohio, Hall began her career in Broadway and off-Broadway productions. She was among the original cast members in the 1974 off-Broadway production of Sgt. Pepper’s Lonely Hearts Club Band on the Road. Hall also appeared in productions of Hair, Chicago, and Eubie! In addition to stage and television work, according to Wikipedia, Hall has also appeared in several films including “Death Becomes Her” (1992), opposite Goldie Hawn and Meryl Streep, “Cruel Intentions” (1999), and the 2007 independent feature “I’m Through with White Girls” (The Inevitable Undoing of Jay Brooks).